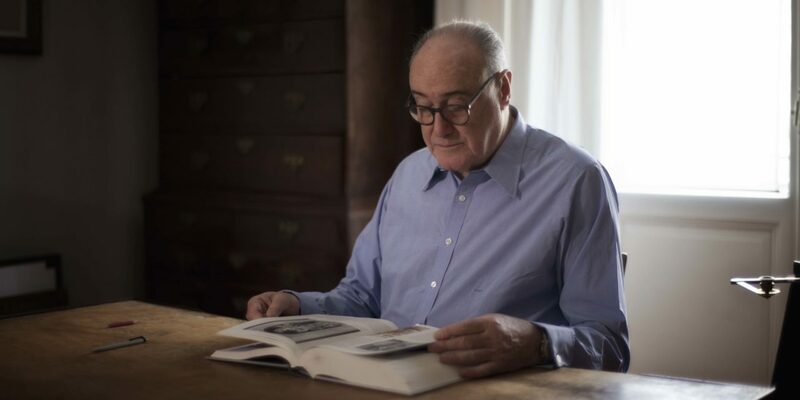 Walter Feilchenfeldt began his art career in the mid-1960s in the Impressionist Department at Sotheby’s in London, before entering his family firm, which his father established in 1948 in Zürich as a successor company of Kunstsalon Paul Cassirer. In addition to his activity as an art dealer, he gained a formidable reputation as a Cézanne and van Gogh scholar (co-author of John Rewald’s catalogue raisonné of Paul Cézanne paintings, the new online version at the end of 2014, and Vincent Van Gogh: The Years in France: Complete Painting 1886-1890, London), writer (By appointment only. Cézanne, Van Gogh and some secrets of Art Dealing) and curator of numerous important exhibitions (Vincent van Gogh: Landscapes; Cézanne: Finished / Unfinished; Degas: The Portraits and Van Gogh and Early Modern Art). „Rote Socken hab‘ ich gern“, in: Art Magazine „du”, No. 10, p. 58-59. „Vincent van Gogh: His Art Dealer – His Collector“, in: Vincent van Gogh and the Modern Movement, 1890-1914, exhibition catalogue Van Gogh and modern art Folkwang Museum, Essen, p. 39-46. „Vincent van Gogh – verhandeld en verzameld“, in: Vincent van Gogh en de moderne kunst, Exhibition catalogue Van Gogh Museum, Amsterdam, p. 16-23 (netherlands). „Epiloog“, in: ebenda, p. 345 (netherlands). „Genuine or Fake – On the history and problems of Van Gogh connoisseurship“ (in Zusammenarbeit mit Roland Dorn), in: The Mythology of Vincent van Gogh, ed. by Tsukasa Kodera und Yvette Rosenberg, Tokyo & Amsterdam, TV Asahi & John Benjamin Publisher, S. 263-307. The Paintings of Paul Cézanne. A Catalogue Raisonné, John Rewald in collaboration with Walter Feilchenfeldt and Jayne Warman, Vol. 1, New York, Harry N. Abrams. „Portrait de l’artiste regardant par dessus l’épaule“, in: Classics of Modern Art: Basil & Elise Goulandris Foundation, Exhibition catalogue Basil & Elise Goulandris Foundation, Museum of Contemporary Art, Andros, p. 46. Cézanne: Finished – Unfinished, Exhibition catalogue Kunstforum Wien und Kunsthaus Zürich, ed. by Felix Baumann, Evelyn Benesch, Walter Feilchenfeldt and Klaus Albrecht Schröder, Ostfildern, Hatje Cantz. „Wie das Kunsthaus zu seinen Cézanne-Aquarellen kam oder ‘Es muss nicht immer Raubkunst sein’“, in: Kunsthaus Zürich 57 Meisterwerke. Zürich: Zürcher Kunstgesellschaft, Kunsthaus Zürich, p. 34-35. „Vilnius. International Forum on Holocoust Era Looted Cultural Assets“, in: Weltkunst, Vol. 70, No. 14, p. 2380. „Betrachtungen eines Kunstliebhabers“, in: Horst Janssen: Meisterzeichnungen, Exhibition catalogue Kunsthalle Hamburg, p. 38-39. By appointment only. Schriften zu Kunst und Kunsthandel Cézanne und Van Gogh, Wädenswil, Nimbus. Kunst und Bücher. By appointment only. Cézanne, Van Gogh and Some Secrets of Art Dealing. Essays and Lectures, London, Thames and Hudson. How to Become an Art Dealer, p. 11-29. “What is Art Actually” – As Short an Answer as (Im)Possible, p. 31-39. Edgar Degas in Tübingen – The Making of an Exhibition, p. 41-43. Van Gogh and Paul Cassirer Berlin – The History of Van Gogh’s Reception in Germany from 1901 to 1914, p. 45-79. Van Gogh Fakes – the Wacker Affair. Questions on the Authenticity of Works by Vincent van Gogh, p. 81-105. Early Provenances – Vincent van Gogh and Ambroise Vollard, p. 107-21. The History of Cézanne’s Reception in Germany, p. 123-61. Cézanne’s Collectors – From Zola to Annenberg, p. 163-99. Cézanne’s Motifs – An Attempt at a New Grouping, p. 201-17. Cézanne’s Drawings – Towards a Reclassification, p. 219-35. Cézanne’s Paintings – Sizes and Subjects. On Authenicity, p. 237-47. John Rewald: Cézanne and Germany, Cézanne and America, p. 249-57. Doctor Gachet – Friend of Cézanne and Van Gogh? Questions on the Authenticity of Works by Paul Cézanne, p. 259-67. Cézanne: Finished – Unfinished, p. 269-91. After Gauguin’s Visit to Arles – Van Gogh’s Abandoned Paintings, p. 293-305. The Art Dealer as a Purveyor of Culture, p. 309-11. „‘Urbino‘. Meine erste Begegnung mit Holubitschka“, in: Hans-Jörg Holubitschka. Die Farben von Urbino, ed. by Jens Neubert, Wädenswil, Nimbus. Kunst und Bücher, p. 8-10. „Theo van Gogh, Collector of His Brother’s Landscape Paintings“, in: Vincent van Gogh. Between Earth and Heaven. The Landscapes, Exhibition catalogue Kunstmuseum Basel, p. 48-57. Vincent van Gogh. Die Gemälde 1886-1890: Händler, Sammler, Ausstellungen und frühe Provenienzen, Wädenswil, Nimbus. Kunst und Bücher. „Das Beste aus aller Welt zeigen“ / „Man steht da und staunt“. Kunstsalon Cassirer. Die Ausstellungen. Vol. 1: 1898-1901, Vol. 2: 1901-1905, ed. by Bernhard Echte and Walter Feilchenfeldt, Wädenswil, Nimbus. Kunst und Bücher. „Edouard Vuillard, Le salon aux trois lampes, rue St. Florentin, 1899“, in: A Feast for the Eyes. The Collection of the Kronenhalle in Zurich, ed. by Dirk Boll, Ostfildern, Hatje Cantz Verlag, p. 59-61. „Karl Ernst Osthaus und die Werke van Goghs“, in: Das Schönste Museum der Welt. Museum Folkwang bis 1993, Exhibition catalogue Museum Folkwang, Essen, p. 169-77. „Helmut Lütjens, Paul Cassirer Amsterdam and Max Beckmann“, in: “Come on, now buy a Beckmann too!“ Portrait of the Lütjens Family in the Boijmans van Beuningen, Exhibition catalogue Boijmans van Beuningen, Rotterdam, p. 88-96. „Les portraits de grand format“, in: Cézanne et Paris, Exhibition catalogue Grand Palais, Paris, p. 126-31. „Mit Falsch erklären habe ich noch nie Geld verdient. Gedanken zu Echtheitsfragen“, in: Festschrift für Wolfgang Wittrock zum 65. Geburtstag am 1. Mai 2012, ed. by Meike Hoffmann, Andreas Hüneke and Tobias Teumer, Berlin, privately published, p. 29-35, illustrations on p. 278-81. „Boni und Feilchen. Der Sammler und sein Händler“ / „Boni and Feilchen. The Collector and His Dealer“, in Remarques Impressionisten: Kunstsammeln und Kunsthandel im Exil / Remarques Impressionists Art Collecting and Art Dealing in Exile, Göttingen, Vandenhoeck & Ruprecht, p. 14-53. „Die Gemäldesammlung Remarque “ / „The Remarque Collection of Fine Art“, in: ebenda, p. 161ff. Vincent van Gogh. The years in France. Complete paintings 1886-1890, London, Wilson Publisher. „Den Sinnen ein magischer Rausch“ / „Ganz eigenartige neue Werte“. Kunstsalon Cassirer. Die Ausstellungen 1905 bis 1910, Vol. 3: 1905-08, Vol. 4: 1908-10, ed. by Bernhard Echte and Walter Feilchenfeldt, Wädenswil, Nimbus. Kunst und Bücher. „Paul Cassirer. 81 Auctions between 1916 and 1932“, in: Auctioneers who made Art History, ed. by Dirk Boll, Ostfildern, Hatje Cantz Verlag, p. 50-57. 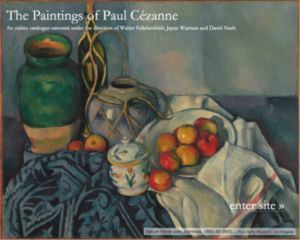 The Paintings of Paul Cézanne – an online catalogue raisonné (www.cezannecatalogue.com), ed. by Walter Feilchenfeldt, Jayne Warman and David Nash.